The beaches of beautiful Cape Cod are no longer the only place vacationers can catch some rays. Now,the abundant sunshine that lures vacationers both domestic and international to the pristine environment of the Cape will help power the guestrooms, indoor heated pool, video game room, dining room and more at the Wellfleet Motel & Lodge. On April 5, 2012 Beaumont Solar completed the installation of a 65kW roof-mounted solar system that spans two of the property’s buildings at 170 Route 6 in South Wellfleet. 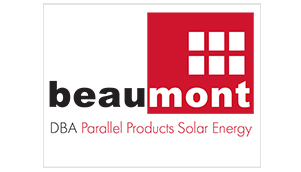 Beaumont designed the system to produce roughly 75,800kWh per year which is roughly 35% of the property’s annual usage. Wellfleet Motel & Lodge owner Ted Wilson notes this is a first system and that more roof space is available for additional panels in the future to further lower operating costs and a lessened carbon footprint helping to preserve the Cape’s unspoiled environment through this clean energy choice.